You don’t want to spend all your time removing your client’s last mani when you could be applying a fresh new color! These tips will help you remove polish and gel-polish quickly and easily. 1. Use a pure acetone or an acetone-based remover. 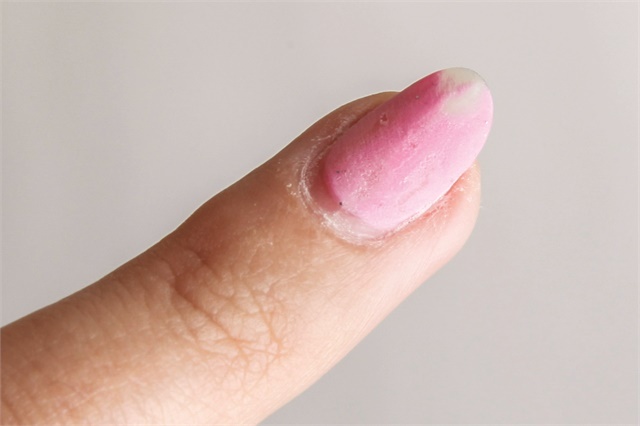 Using a non-acetone remover will slow down the removal process. 2. Use a plastic-backed polish remover pad. This is most effective because it holds the remover on the cotton longer and can be used on more fingers as a result. 3. Remove the gel top coat or break the seal with a lower grit file such as a 180. Using too high of a grit such as a buffer will slow you down. 4. Watch the color of the nails to keep an eye on your progress. When you end up with quite a few places where you file through the color, then you have taken more time than needed for filing. 5. Be sure to file enough. The top coat is the most difficult layer for the remover to penetrate. If, for example, the gel-polish has only been filed down the center, this means the edges are going to take much longer to remove since they are still protected by the top coat. 6. File into any embellishments (such as glitter or pigments) that have been added to gel-polish. This will help with removal once the nails are wrapped up. 7. Make sure the nail looks like a matte nail before you wrap it. Having all of the shine removed, most of the embellishment removed, and the least amount of spots where you file through the color is going to look mostly like a matte nail. This is the best way to prepare it to be wrapped or clipped in your remover and come off clean and easy. 8. Be sure to wrap the nails tightly or use the clips properly and encourage the client to sit still. Some find a warm towel laid over the hands is a helpful way to keep clients still while giving the service an extra spa-like touch. 9. Set a timer for the time your manufacturer suggests and do not shortchange it. Taking the remover wraps or clips off the nails prematurely will increase the time it takes to clean the nails. Air hitting the gel-polish will act to re-harden it and make it more difficult to remove. 10. If gel-polish is being stubborn, re-cover that nail with remover and move on to the next nail. 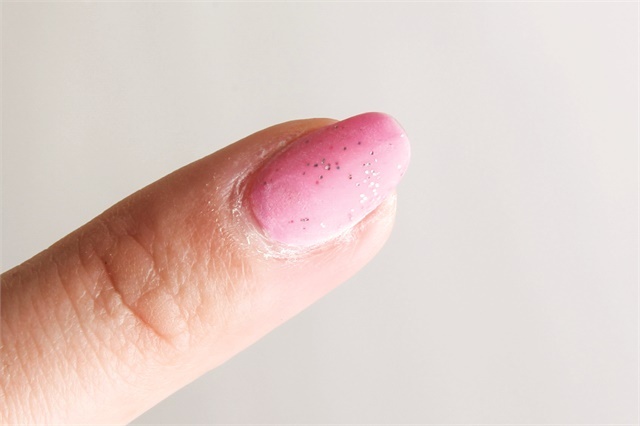 Impatience in this step can easily cause damage to the nail plate, which will manifest in tiny white spots or in some cases large sections of white spots covering the nail plate. 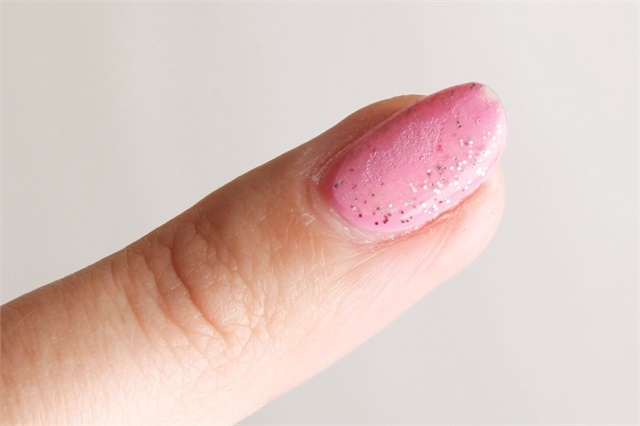 These tips were adapted from a longer piece by NAILS contributing editor Holly Schippers. Read Speed Up Your Services — Part 1: Work Habits, Prep, and Natural Nails for more.